Not going to bother commenting since I'm still waiting on any kind of response on my previous issue for over 5 months, and almost everything i can think to say to you guys is expletive laden anger. Fix this... and everything else. Are you using the latest available version of PF? 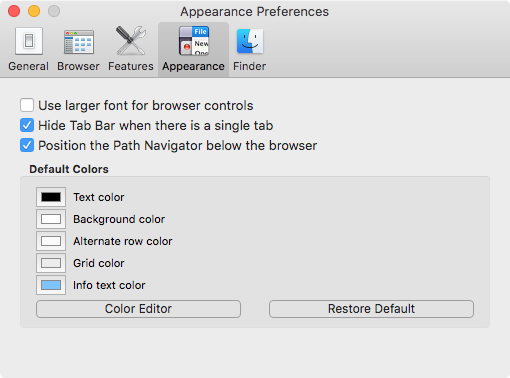 Also, do you have "Use system colors" enabled under Path Finder > Preferences > Appearance? Path Finder Support Team closed this discussion on 24 Oct, 2018 08:55 AM. I'd check... but it's hung for the 3rd time today. Fix the app. Stop closing threads. Also... RESPOND TO MY PREVIOUS QUESTION!! Yeah... that's not in your preferences. Path Finder Support Team closed this discussion on 26 Oct, 2018 08:30 AM. The option in question is available on Mojave with light and dark mode. 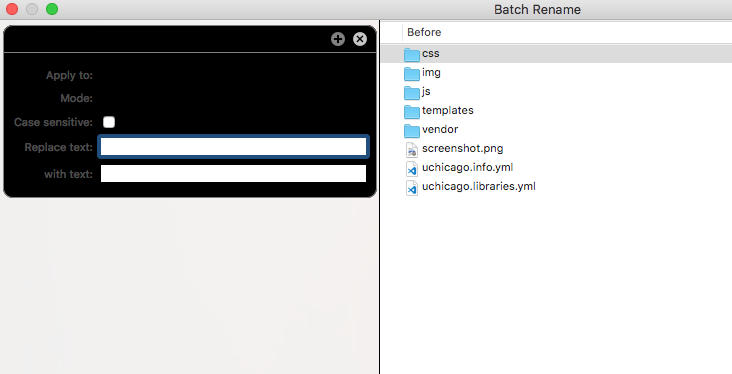 We've released the latest version of Path Finder that should fix the Batch rename, could you please test it on your side? Jordan... my "previous question" was asked in May. It's been almost 6 months. I don't care about your CRM. I know how it works... i've seen you explain it to other people on the forums why it opens and closes. I wasn't even talking about closing MY threads... but whatever. The point is you keep LOOKING at that question and IGNORING it. You've looked at that particular item and ignored it (because your CRM closes and reopens it like you said)... a total of NINE TIMES. You've never given any acknowledgement whatsoever. Regardless: This particular issue... yeah... it's temporarily fixed in the current version... but this version also freezes 4-5 times per day... so bang up job. Path Finder Support Team closed this discussion on 10 Nov, 2018 03:33 PM.